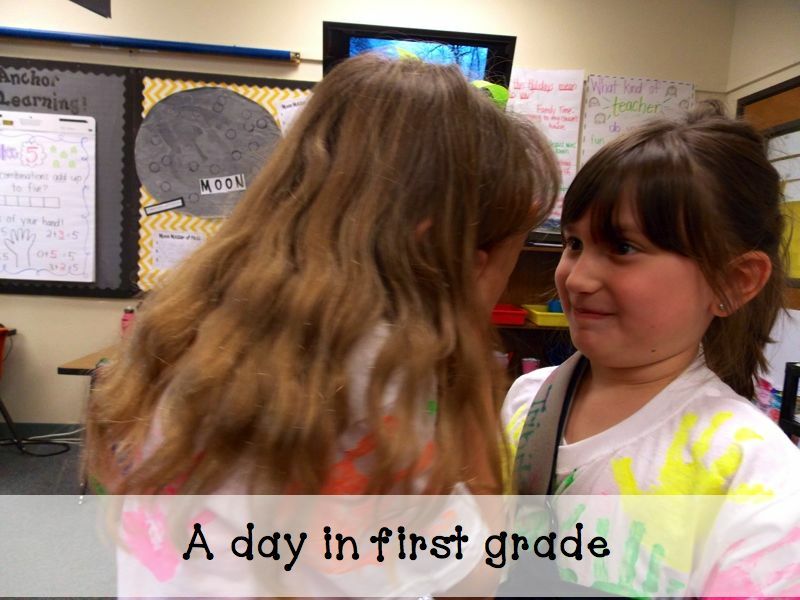 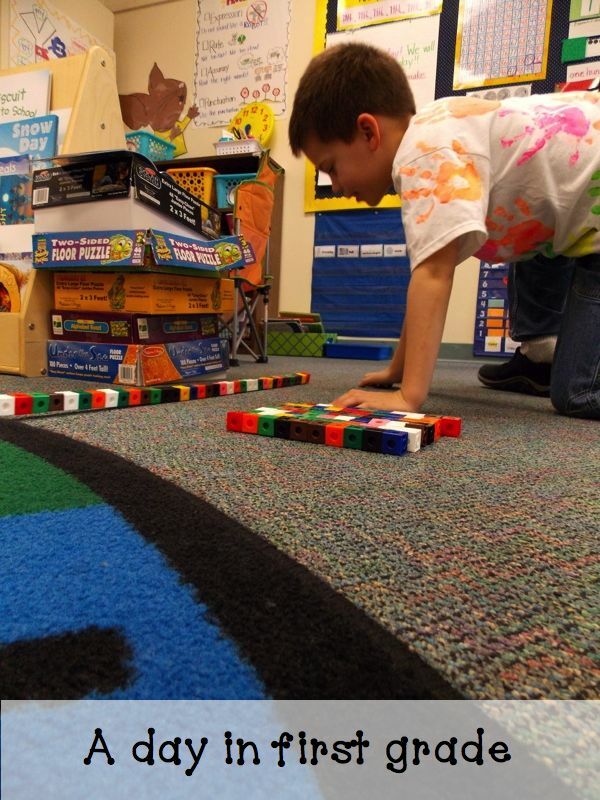 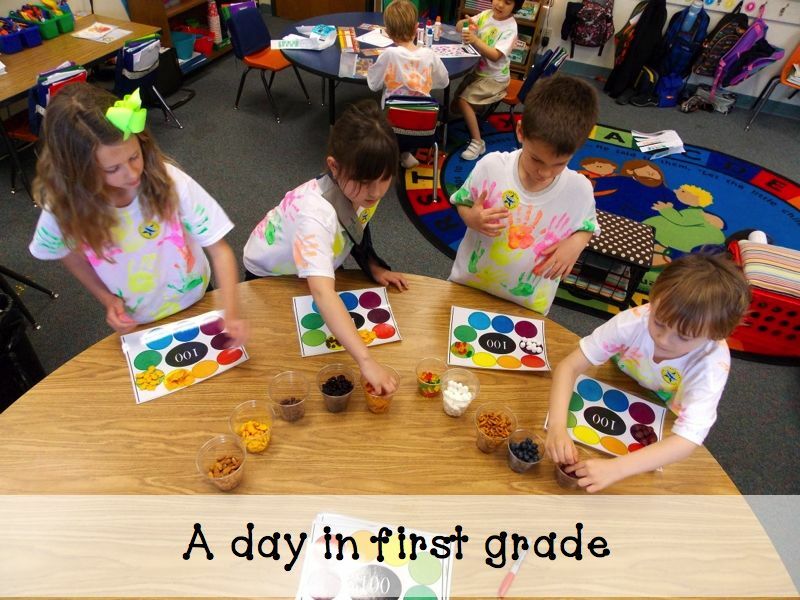 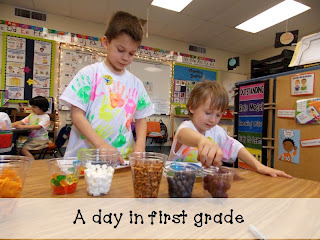 A Day in First Grade | Our 100th day! Oh my. 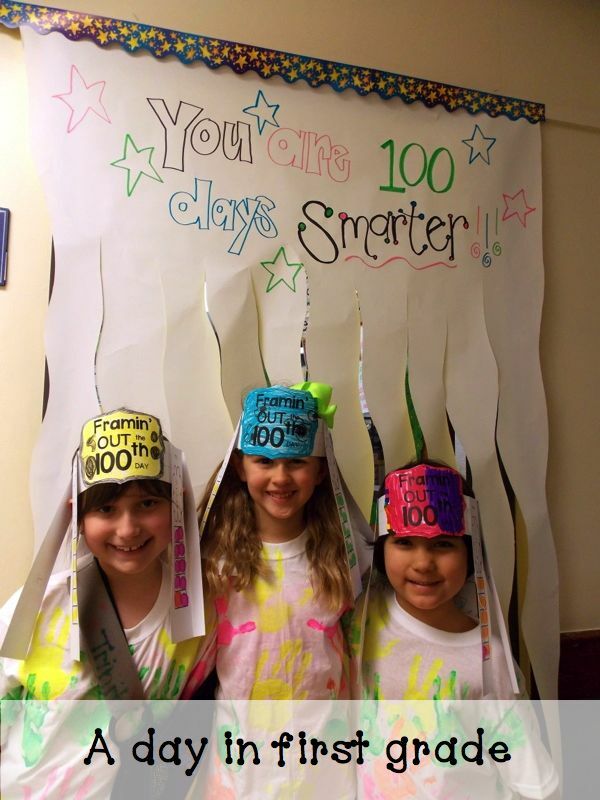 Our 100th day was SO MUCH FUN. 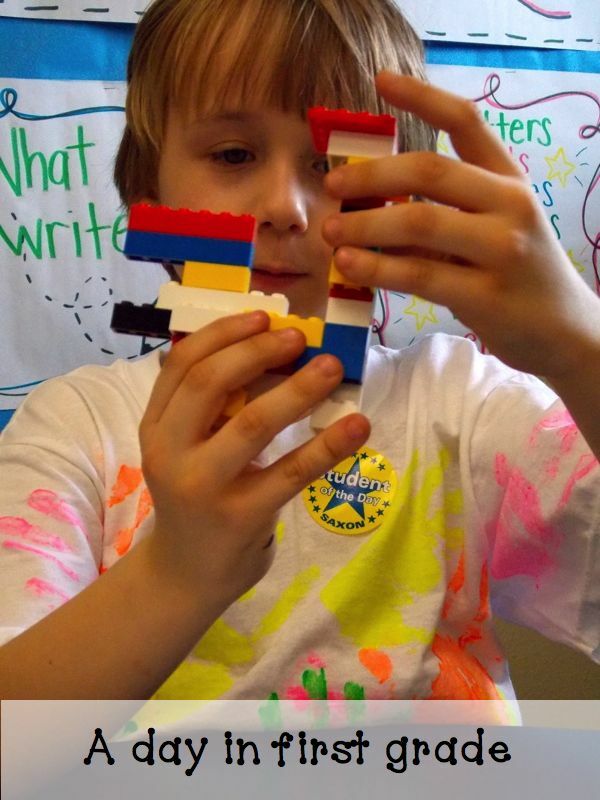 I had parents email me that their child could not stop talking about it and that makes me smile from ear to ear. 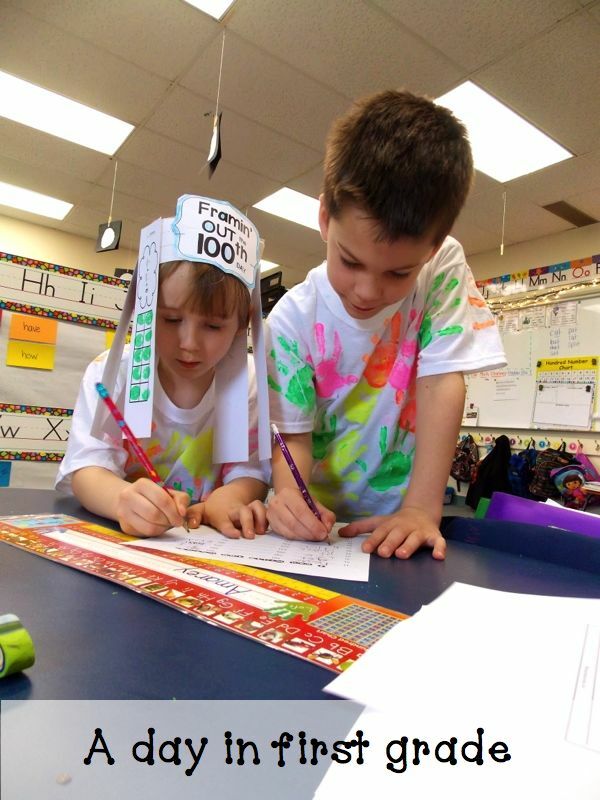 We looked super cool in our 100th day t-shirts and began our fabulous day by completing a 100th day book. 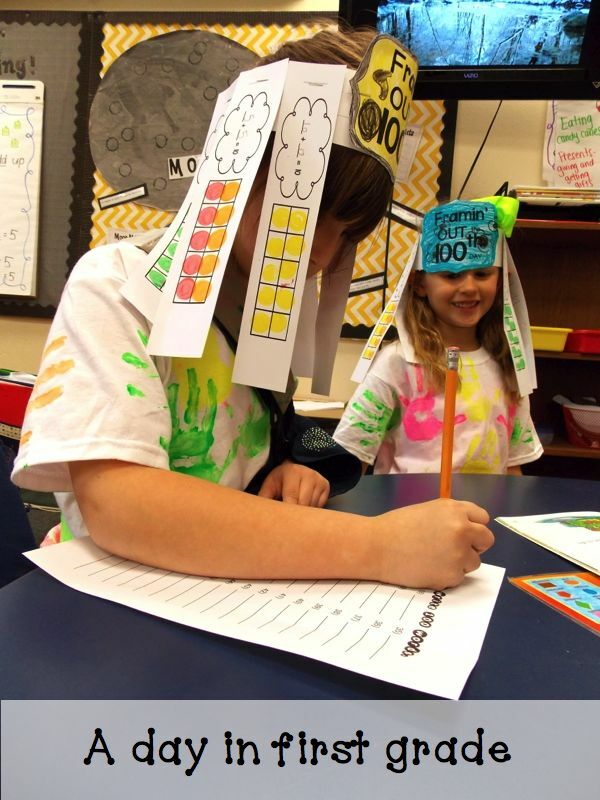 We then made Kelley’s SUPER AWESOME 100th day hats! 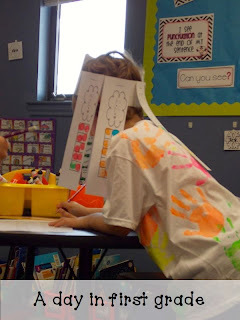 And then got to work trying to read 100 books! 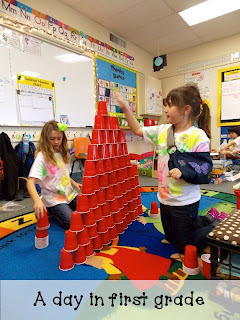 Throughout the day we made creations with 100 cups. We tried to come up with 100 words that we knew how to spell. 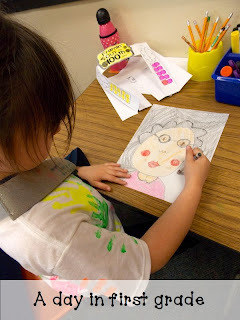 We drew pictures of what we thought we would look like when we are 100! Made creations out of 100 legos. 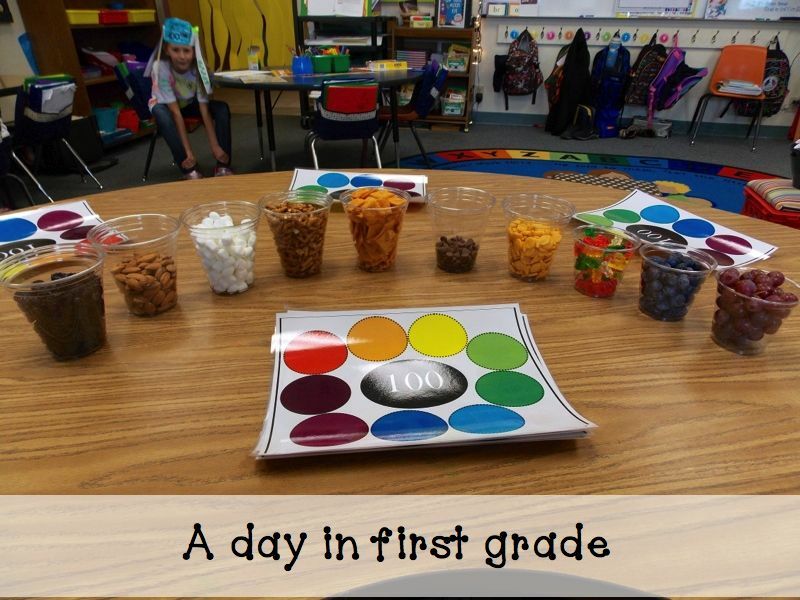 And of course we ate 100 snacks! It was a SUPER fun day!!! 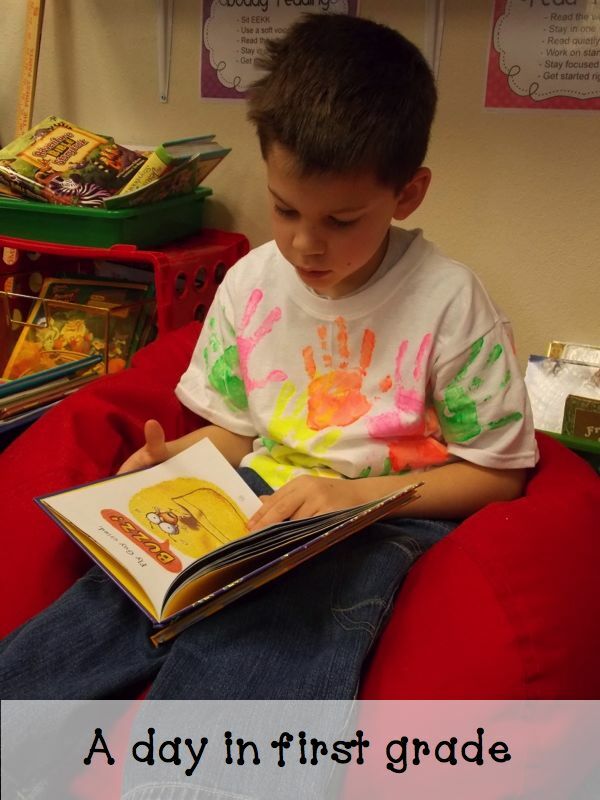 Don’t forget that there is a HUGE sale going on over at TpT tomorrow!! 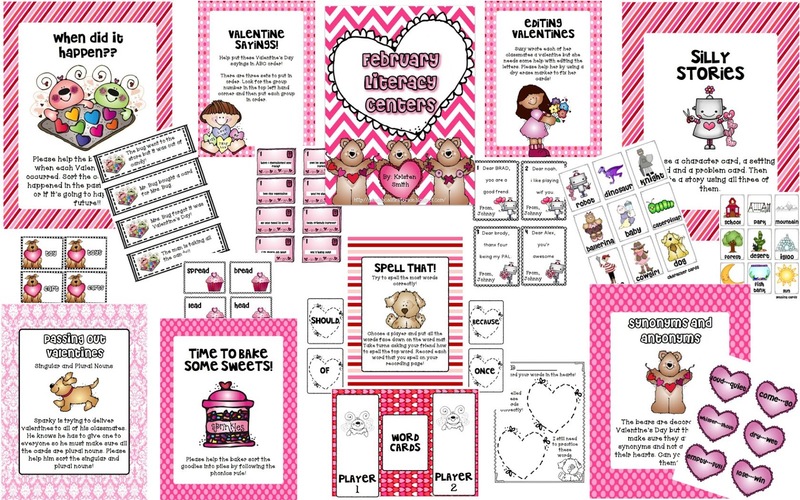 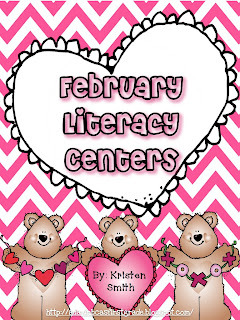 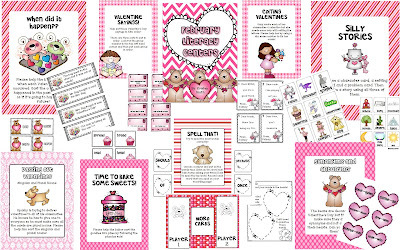 You can find my new February Literacy Centers there!! 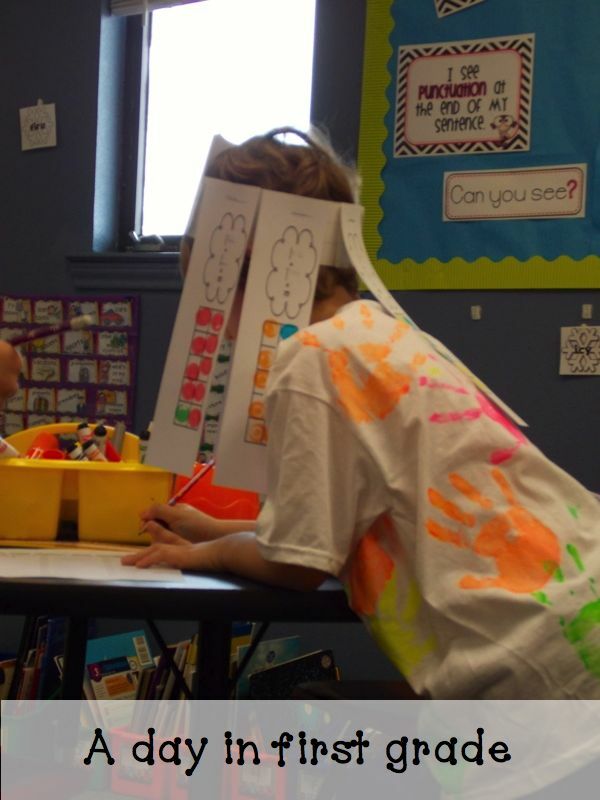 I LOVE those t-shirts!! So cute!! Their hats are cracking me up! 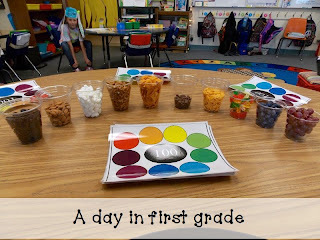 The snacks look like a lot of fun to eat!